That wasn’t an elegant intro to one of the world’s best schools, but I found it so funny I had to share it. The most students per square kilometer in all of the USA are in Boston, and these students contribute an estimated $4.8 billion a year to the city’s economy. 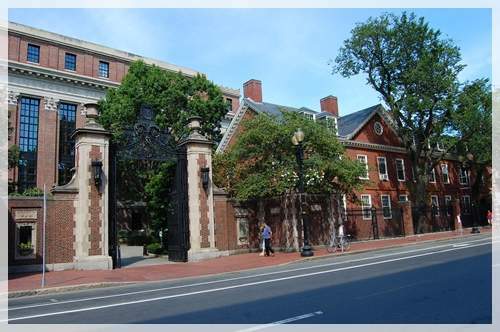 The picture above shows the gate through which Masood and I entered into the Harvard Campus for the first time. It’s the gate behind Widener Library. One can easily get good, very informative guided tours of the campus, but since we didn’t have the time to spend on such tours, we decided to stroll around the grounds and just take in the history and atmosphere. It’s totally worth it! Harry Elkins, Class of 1907, was born an American aristocrat in 1885. He was also one of the several men and women who died when Titanic sank. His mother, Eleanor, donated the enormous sum of $3.5 million to the university, and this imposing new edifice was erected in memory of Harry in 1915. It was and has remained the largest university library system in the world. 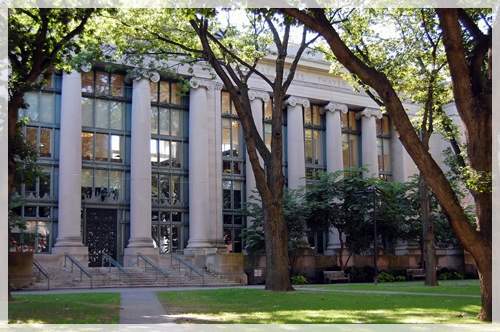 The Widener Library is the center piece of the Harvard library system and has 15.6 million books. 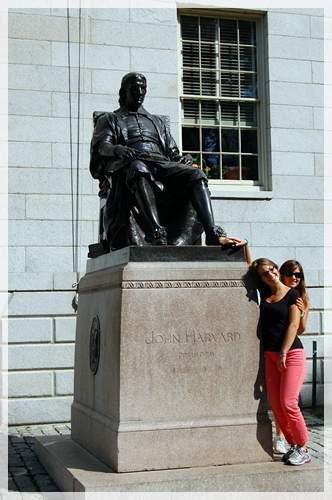 375 years after his death, John Harvard still appears to be so popular among the ladies! 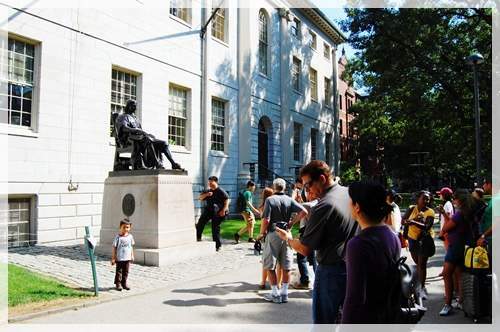 This bronze statue of John Harvard stands today in front of University Hall in Harvard Yard, and is perhaps the University’s best known landmark. Amidst the eager crowd of tourists on a beautiful Sunday morning, I tried and waited patiently, but couldn’t get a solo portrait of John. Originally called the New College, Harvard University is named after this young minister John Harvard of Charlestown, the College’s first benefactor, who upon his death in 1638 left his library and half his estate to the institution. While some students and most tourists rub Harvard’s golden shoe, hoping that it will give them luck, here’s my advice: whatever you do, do not touch Mr. Harvard. This isn’t John Harvard. In 1884, Daniel Chester French−the same guy who made the famous Lincoln monument in Washington−created this statue, and some other guy (a student at Harvard) sat as a model for the head of John Harvard. Harvard University was founded in 1636, not 1638. John Harvard wasn’t the founder of Harvard University, just the richest donor. The engraving on the statue states “founder”, but isn’t true. Harvard didn’t even attend the College. He was the first major benefactor to the University. 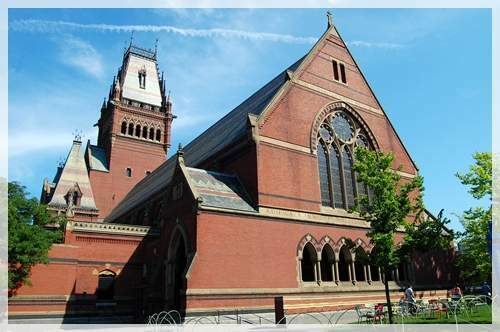 Completed in 1878, Memorial Hall stands as one of Harvard’s most iconic buildings and is even a National Historic Landmark. This style of structure is called High Victorian Gothic design. 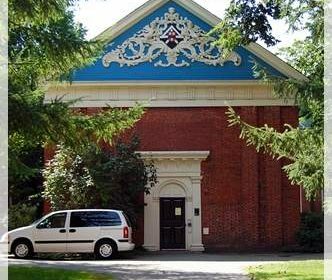 Memorial Hall is a multi-use facility located just beyond the North gates of Harvard Yard and is ideally suited to accommodate events for several hundred people. 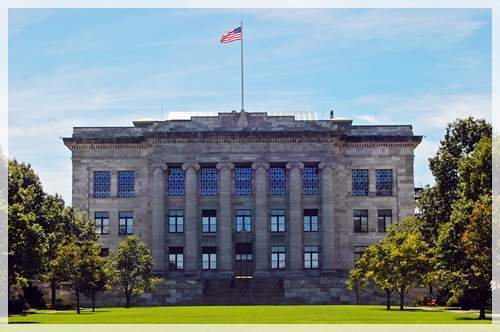 Established in 1817, this is the oldest continually operating law school in the United States and is home to the largest academic law library in the world. 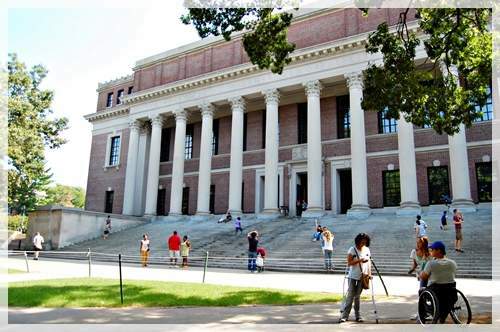 The moment Masood and I stepped into the Harvard University Campus, I immediately began looking around for the Law and Medical School buildings. We found the Law School first. Under the shade of a thick tree, we sat on a wooden bench and wondered how it must be like studying and then graduating from this prestigious institute. It was a Sunday morning, and with the exception of a handful of tourist, the yard was practically empty. To qualify for their program, applicants should demonstrate potential for success in law school through an exceptional undergraduate academic record, LSAT scores in the top percentile and substantial accomplishments in work or extracurricular activities. Oh, you’ll also need $52,350 for tuition plus $26,495 for room and board … that is $78,845 for one academic year (if you don’t have any sort of financial aid). Medical education in the 18th century consisted of formal lectures for a semester or two, followed by an apprenticeship with a practicing physician. No academic preparation was required, no written exams were mandatory. The gorgeous structure stands proudly at the head of a 400 ft lawn, called the Quad. The Quad is an integral part of everyday life at HMS. Each May, the Quad is the venue for “Class Day” (graduation), when students don their hoods and become physicians. The first class that graduated in 1788 composed of two students. To become an attractive candidate for admission you may need, in addition to excellent academic records, an essay written by you, impressive MCAT scores, extra-curricular activities, summer occupations, and life experiences. Any experience in the health field including research or community work is a plus. You’ll also need to have $81,725 for tuition, books, room, and board for one academic year (if you do not have financial aid). However, it is also quite amazing that Harvard University not only grants subsidy to more than 60% of its students, but is also one of the very few institutions that can afford to give free education, room/board and flights home even to students who’ve grown up homeless. Students from families with incomes below $65,000, and with assets typical for that income level, will generally pay nothing toward the cost of attending Harvard College. Harvard campus is huge and beautiful. There’s so much to see and explore. And this is also why I have divided the Harvard tour into two posts. Besides, I didn’t want to overload you with too many pictures! Also, since the entire campus has to be seen on foot, we parked our car in a nearby public parking garage (getting a road-side parking in Boston is very difficult). If you’re ever visiting Boston in your own car, park it somewhere in the city (preferably near a train station) – take the T or walk! Part 2 of the Harvard University Campus Tour here. Wait, I never did tell you why you shouldn’t be touching John Harvard’s statue. Want to really know why? 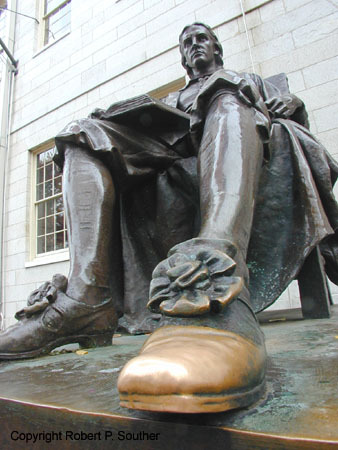 Find out the truth about John Harvard yourself. We didn’t have time for a tour, just a quick walk through ourselves. We visited in the evening, it was a grey day and I actually felt like it was kinda ghostly with a bit of a fog and really empty. Your pictures are so nice and sunny, it really would be nice to be a student there and sit under the tree with a book! Thank you, ‘liya! The weather was perfect when we visited – it was sunny and very pleasant (which is probably winter by UAE standards, haha). I am trying to imagine the campus empty and with fog — with all the old buildings and big trees, must feel like the place is haunted. You are most welcome, ‘San! 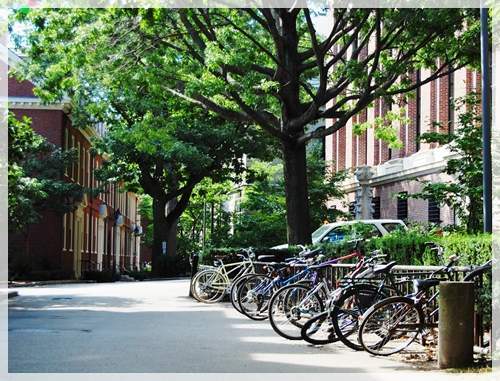 Aww, this post totally reminded me of an episode of the Gilmore Girls when they visited Harvard! It looks beautiful. I can’t get over how much money it costs to go there though. Wow. LOOOOL you are so funny!! !